Plan to attend many guests , remember that according to the number will decide the party venue, if renting the site, will realize at home or somewhere else, if it's something simple, elegant, casual, etc.., After thinking well at all these points, get to work. 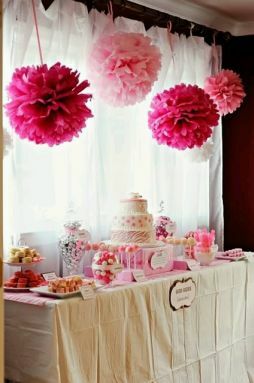 Here are some ideas of how you can decorate the venue of your celebration. In this first image you have a sweet little girl welcoming your guests, this detail you can serve both to celebrate at home like in a rented site. 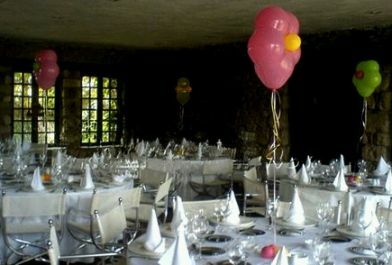 Sometimes, less is more, and a simple decoration like this with flowers balloons, just to see the atmosphere is great. 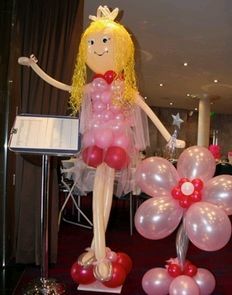 Elegance and good taste, if you hang some topiaries window or ceiling, enough to give it that touch of sophistication to your meeting. 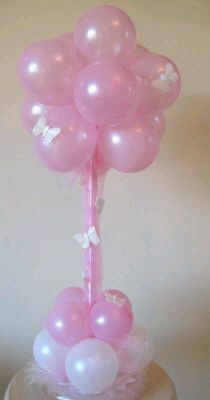 Balloons flowers never fail when it comes to girls' christening decorations, but what better if you complement with a delicate butterfly. 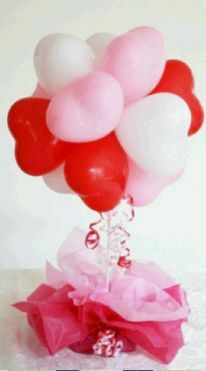 The centerpieces are important, and the following is a good choice, it is heart-shaped balloons attached to medium and supported by a base decorated with paper. 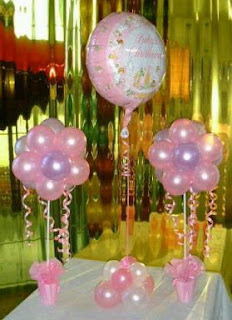 Another settlement model, ideal for the table, in this case the bottom case may serve to put goodies. This new proposal is simple but very nice, you can use it as a centerpiece or as a cornerback, depending on the height of the array. A proposal sweet, feminine, tender and delicate, entirely appropriate for the queen of the house. 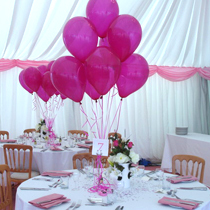 If on the other hand prefer something fancier here's a good example, a room decorated with draperies, tables and served properly dressed, and a great arrangement with balloons as a centerpiece. 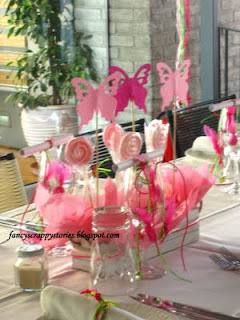 Finally, if you want to surprise your guests with a sweet centerpiece, this is a good choice, it is an arrangement with candy at the bottom and a delicate paper butterflies on top.